ISIS, the Islamic State in Iraq and al-Sham, is the world’s richest terrorist group after seizing £250m from Mosul’s banks when it drove the Iraqi army from the city last month. It could be about to become richer after imposing a “tax” on looted antiquities in the vast region of Syria and Iraq it controls, much of it part of ancient Mesopotamia, the cradle of civilisation. Local Isis emirs determine the tax rates and anyone refusing to pay is killed. The tax was revealed by Salam Al Kuntar, a Syrian visiting professor at the University of Pennsylvania, and Amr Al-Azm, a Syrian-born academic. They are part of a heritage taskforce set up by Syria’s opposition interim government and met local activists in secret to document damage to sites under ISIS rule. The terrorist group also controls sales. The main market is in Tel Abyad, an ISIS stronghold on the Syrian-Turkish border. 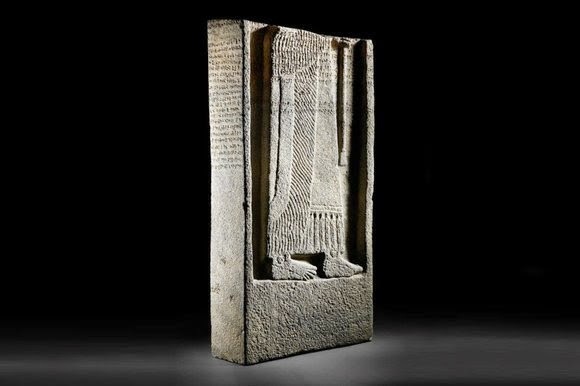 Nada al-Hassan, head of the Arab states unit at the UN cultural organisation Unesco’s World Heritage Centre, singled out an Assyrian black basalt royal stele from the 8th century BC that the London auction house Bonhams withdrew from sale in April after estimating its value at up to £795,000. “That was intercepted by Interpol,” she said, adding that it was a “success story” because there was proof that ISIS had been responsible for digging it up. Syria’s most significant sites include Dura Europos, a classical cosmopolitan city with some of the world’s earliest churches and synagogues. A satellite image taken in 2012 showed that a tiny part of the 150-acre site had been excavated. Another, taken a few weeks ago, reveals every square yard dug up by looters. For the moment Isis appears to have protected the Mosul museum, which was badly looted in 2003 after Iraqi security forces melted away — that time before the arrival of American troops. She has been unable to return to the museum since ISIS took control but has received reports indicating that nothing has been removed. Mosul residents say fighters have destroyed the 13th- century tomb of the historian Ali ’Izz al-Din Ibn al-Athir al-Jazari, who travelled with the Islamic sultan Saladin. A strict interpretation of Sunni Islam considers shrines idolatry. Videos show a bulldozer demolishing the entire structure above the tomb. The brass dome, painted concrete and tombstone shatter in a shower of rubble and dust as a fighter in a white robe with his face wrapped in a white scarf looks on. The monument’s most historically valuable part, the ornate Abbasid-era tombstone, was previously moved to the Mosul museum and said to be intact. “We heard a pledge that they won’t harm anything in Mosul, but with our experience with what happened in Syria and other places, you can’t be an optimist,” said the Iraq office of UNESCO.